BrownSpiceBeauty is all about being Eco Friendly, but making that transition in all aspects of your life can be a challenge. We believe in taking baby steps and finding ways to incorporate Eco Friendly practices into your everyday life. We plan on sharing interesting and new ideas for being more Eco Friendly when using cosmetics and hair care products each month on our blog. Our first tip is for our disposable contact lense wearers and the people who love them. I am a contact lense wearer myself and one day, after putting in my contact lenses, I was getting ready to toss the left over containers like I always do when, I had an idea! 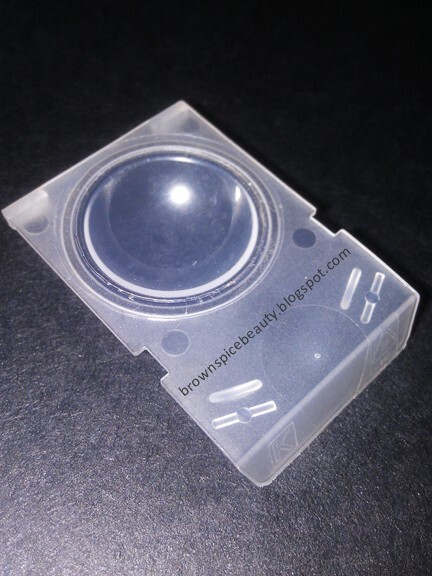 Why don't I use the contact lense containers for mixing makeup instead of tossing them? It was PERFECT! It has a little lip on the bottom that makes it easy to hold, there is more than enough space in the cup for mixing just the perfect amount you need and it can be washed and reused. 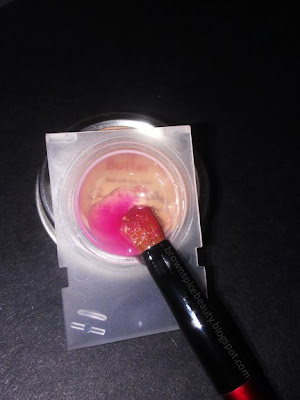 You can mix pigments, shadows, lipsticks. glosses....the list goes on and on. It is also great for holding nail polish colors when you are doing nail art. I like to use it most to mix my lip colors. I can mix just the right amount and color I need. Another great idea is if you leave the contact lense cups connected instead of pulling them apart each day, you will end up with a palette that you can mix multiple colors or products in to complete your look for the day. You can have a lip color, shadows, highlighter or etc. in each cup. When you are done with your look just clean it out and it will be ready for the next day or look you decide to conquer. Keep a good stash of containers so you can replace them once you see they have had it. Let us know if liked our tip and if this is something you would start doing yourself.